Hawa Bamboo is manufactured from a natural resource that is harvested at no cost to the environment. You can depend on Hawa to supply you with durable and beautiful first rate bamboo flooring. 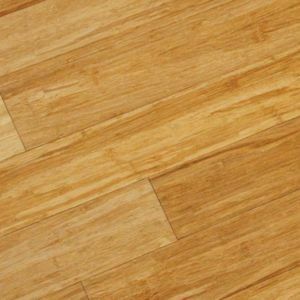 Carbonized Bamboo Flooring is not stained at all, but rather during the manufacturing process the bamboo is boiled. This boiling of the stalks creates the brownish color in the boards. As a result, carbonized bamboo’s hardness on the Janka Hardness Scale drops a bit to around 1415. Natural Bamboo from Hawa on average ranks in at 1742 on the Janka Hardness Scale. Look for our Hawa flooring reviews next to each product style. Hawa Bamboo is a premier manufacturer of bamboo flooring, taking pride in creating durable, beautiful and environmentally friendly bamboo products. From Hawa Bamboo, you will find an assortment of bamboo flooring products to suit your every need: Solid Bamboo, Engineered Bamboo, Click Locking Bamboo, Stained Bamboo, Strand Woven Bamboo and Distressed Bamboo.